While MACDONALD is one of Napa’s newer producers, one must start with some history to help establish their story in Napa’s wine industry. The MacDonald family history in the Napa Valley and contributions to the Napa wine industry date back to 1954. 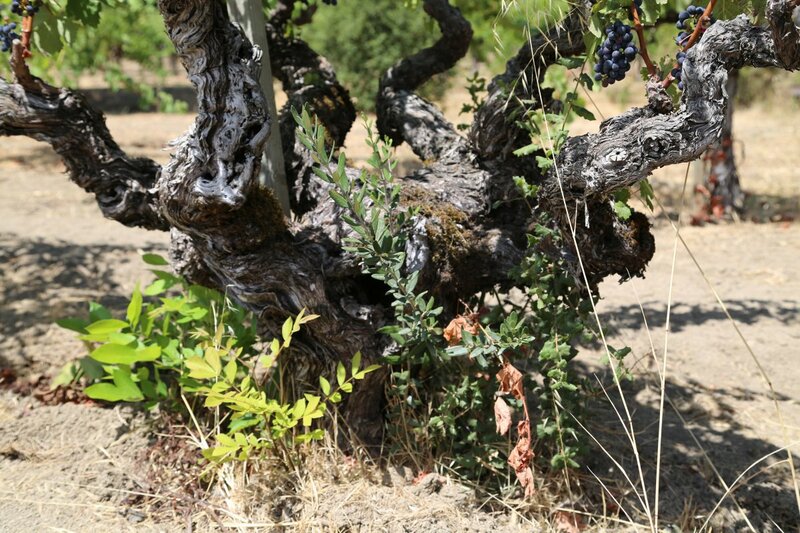 This historic vineyard, To Kalon dates back to 1868. Founder, H.W. Crabb purchased 240 acres in 1868 started planting grapes, several years later built a winery, called it Hermosa Vineyards and 10 years later it had become the third largest wine producer in Napa County. The vine composition looked nothing like today – back then varietals such as Malvasia, Burgundy, Chartreuse, Riesling, Chasselas, Berger, Hamburg, Tokay and Muscat were commonly planted. 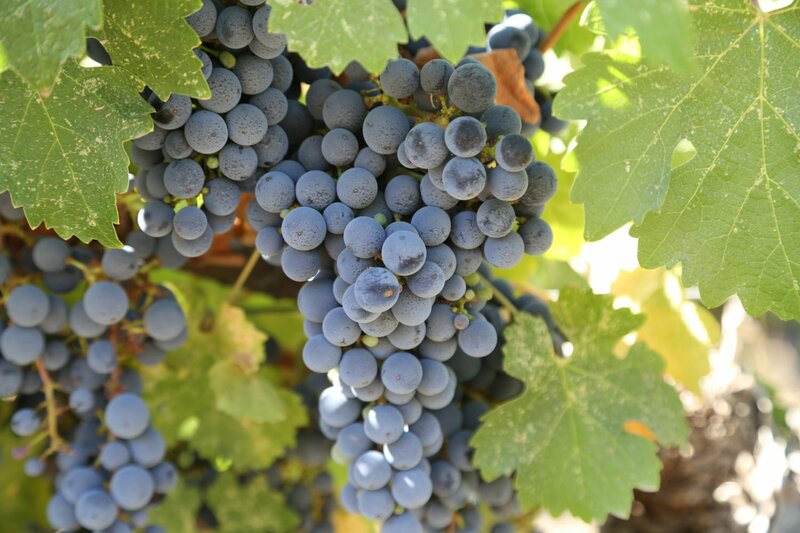 In fact, at one point To Kalon was planted to nearly 400 different varietals which was the largest collection of grape varietals in one vineyard in all of the country. The vineyards and winery were renamed to To-Kalon in 1886. By the turn of the century Phylloxera had destroyed much of the vineyard and it was replanted to cherries – which incidentally became one of the largest cherry orchards in the country. The winery shut down during prohibition, reopened after, only sold bulk wine and unfortunately a fire in 1939 ended both this massive winery and their operations. The name To Kalon itself is Greek and according to founder H.W. Crabb, “…means the highest good, but I try to make it mean the boss vineyard”. The name has seen a number of variations with “To” being separated by a “=” originally, then a “-” and finally simply, To Kalon. Today only a fortunate few wineries and producers manage its sizable acreage (approximately 600 acres): Robert Mondavi owns the largest portion, Opus One has several larger blocks, grower Andy Beckstoffer manages a relatively small percentage of the entire vineyard and sells to approximately 15 producers who then make a single vineyard wine and two families manage small portions of what historically is the rest of the vineyard. 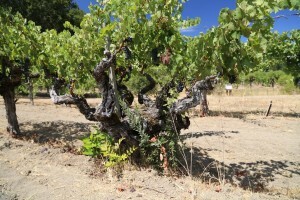 The MacDonald’s manage 15 planted acres – all planted to Cabernet Sauvignon and their cousins, the Detert’s focus on Cabernet Franc and Cabernet Sauvignon. UC Davis also manages a nearly 20 acre “experimental vineyard” within the vineyard’s boundaries. Incidentally, after H.W. Crabb died this experimental vineyard was under the control of the USDA and was instrumental in its research on developing Phylloxera resistant rootstock. In 1954, the great-grandparents of proprietors (brothers) Alex and Graeme MacDonald were looking for a full time residence for retirement). Their plans were to purchase a home in the Napa Valley rather than any accompanying vineyard. They located a small home in Oakville but the owners said that to make the sale, they must purchase the surrounding property. Additional acreage was not a part of any plans for weekend relaxation but the owners insisted and ultimately both the land and the home were purchased under the same bill of sale. At the time, they thought vines would be a bad investment since there was little money to be made in grape sales. This insistence by the former owners was certainly a pivotal and crucial moment in ultimately what became the family business and eventually the inception of MACDONALD. Once the property was in the hands of the MacDonald’s great-grandparents – they removed the last of the cherry trees and planted grapevines. Robert Mondavi purchased what would be the first of many years in the 1950′s for at the time, his family winery – Charles Krug. Robert Mondavi opened his own winery in 1966 and his winery has purchased grapes from the MacDonald’s family ever since. The family was initially in a three year contract for a set price per ton. A drought hit during the first part of that contract and the vineyard production dropped significantly. Rather than honor the agreed upon price (assuming normal production), Robert Mondavi sent a check for what was equivalent to market value during that year. The MacDonald’s great-uncle (Gunter Detert) went into Robert Mondavi’s office, ripped up the contract and said, “we do not need a contract, all I need is a handshake.” For over fifty years their agreement with Mondavi was simply based on a handshake. Brothers Alex and Graeme MacDonald grew up to the south in Marin County – their involvement with the grape growing operations during their formative years was minimal. Rather as children, they would come up to the property on the weekends and as Graeme puts it, “cause of bit of havoc”. Perhaps it was the introduction to the land and the time spent here visiting that might have rubbed off on Graeme – creating a strong personal interest in farming. Graeme attended UC Davis and earned his degree in Viticulture and Enology. Today he is both the vineyard manager and winemaker – living on the property now has certainly helped his appreciation and perspective of the vineyard – and when something needs to be done in the fields, his commute is a minimal one. As children they had no sense of this vineyard’s place in Napa’s viticultural history. It wasn’t until Alex and Graeme started digging into the history that they discovered it was part of the original To Kalon Vineyard. Since then Graeme has scoured the Internet, libraries and other sources of historical records and amassed an impressive collection relating to the unique history of this vineyard. He has collected some of H.W. Crabb’s original letters, old photographs, postcards and in addition to his other vineyard and winery responsibilities, has certainly become a self made historian. The MacDonald’s used to employ a vineyard management company – Graeme received a call a number of years ago that the family was advised to remove their old Cabernet Sauvignon vines. This was a direction that Graeme was not going to follow and ultimately he decided to take over the vineyard management himself. Over the next few years he acquired the necessary farming equipment to do so and created a vineyard management company focusing entirely on their own vineyard. It is exciting to have recently visited with several young winemakers in Napa who have a passion for preserving both some of Napa’s heritage varietals and the valley’s older vines. 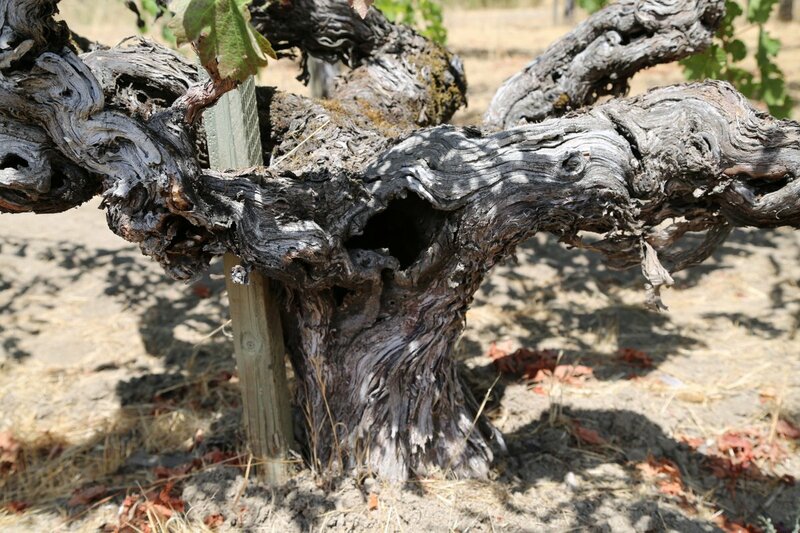 Today the oldest vines on their property are Cabernet Sauvignon – at approximately 60+ years old. These old head pruned gnarly looking vines are probably some of the oldest Cabernet Sauvignon vines in Napa County still producing commercially. 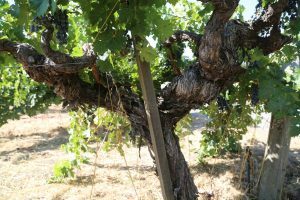 Other Napa producers making wine from old vine Cabernet Sauvignon include Grgich Hills and Scarecrow. This block of Cabernet Sauvignon was originally dry farmed until more recently. Honoring heritage and sound historical viticultural practices for these particular vines, Graeme has returned this block to being dry farmed. Farming these vines is old school – how it was done in Napa decades ago. The diversity of what is growing in the vineyard is not limited to grapevines. 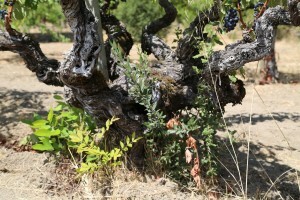 Several of these old vines are surrounded by small olive, oak and walnut trees. 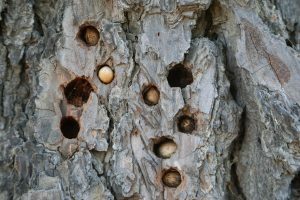 Because of the vine age, the girth of the trunks are rather large – often with sizable holes in the middle. 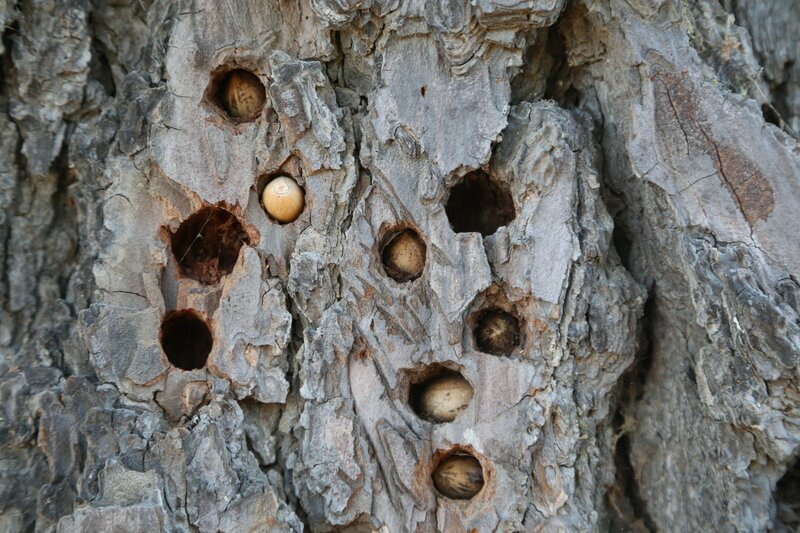 Squirrels deposit their acorns inside these later in the Fall. Standing among these vines, one does not get the sense one is standing in present day Napa Valley. 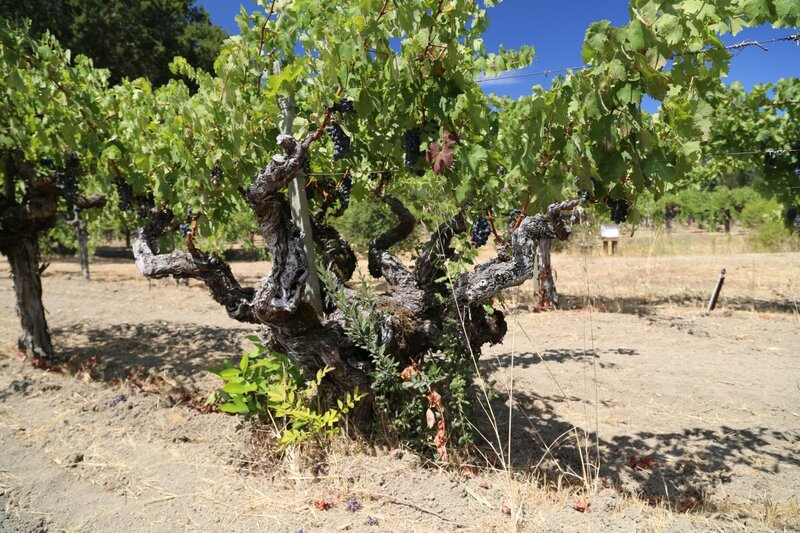 In 2014 the MacDonald’s began harvesting the fruit from these old vines for their own use. Graeme started making tiny quantities of wine in 2004 for personal use as part of his vineyard education. Their first vintage (earlier vintages were consumed in college) was merely 13 cases (just over 1/2 a barrel) in 2008 – 2009 saw 22 cases and their first official release was the 2010 vintage with 92 cases. Production has continued to grow with future vintages in the several hundred case range. 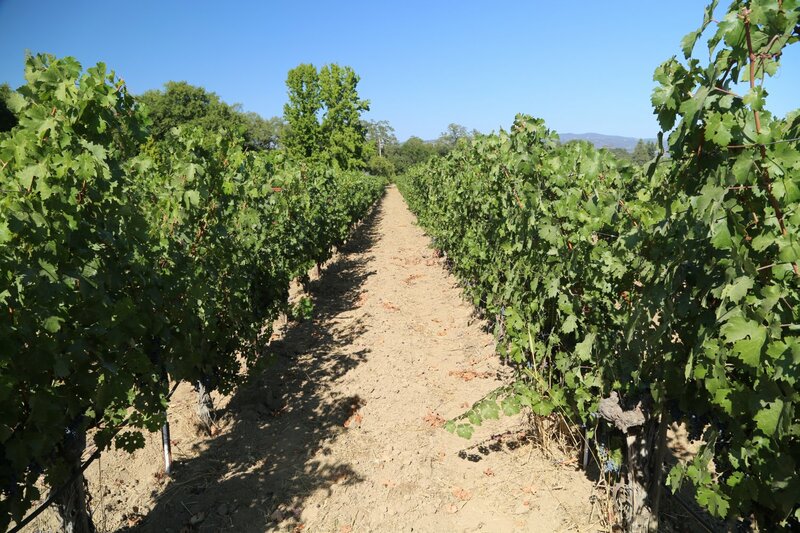 Their vineyard blocks are built upon thousands of years of an alluvial fan eroding down from the Mayacamas Mountains – which rise sharply just to the west of their property. As a result the vineyards sit on a bench land slightly elevated from the valley floor. From a geological perspective, this is a very unique part of the Napa Valley. Four distinctive soil types are found in the hills just west of their property; over the centuries this has been the source for the soil on their property. And by soil, the property is full of alluvial deposits, a gravel that starts about two feet below the surface. Part of their vineyard visually looks like rock – except it is granulated and crushed in nature – almost as if it were decomposing. Fifteen acres is sizable and Graeme sources vineyard help from those who know To Kalon the best – former vineyard workers and a contractor who worked in To Kalon for Robert Mondavi. Graeme is meticulous in the vineyard, each vine is assigned a number with a GIS Satellite mapping system – each vine is farmed by hand, and the vineyard is managed slightly differently each year depending on vintage weather characteristics. Even soil variations between rows determine if they till or not. The vineyards are organically farmed, dry farmed where possible and select cover crops are used rather than fertilizer supplements. In honor of To Kalon’s farming heritage, Graeme has harvested cuttings of Cherry trees he discovered growing in the nearby riparian zone and on the edges of the vineyard (original plantings left over from when this particular block of land was planted to cherries). He will plant a number of these cherry trees near their vineyard. Graeme’s approach to wine making is minimalistic. His wine making perspective in Napa includes variety of different styles, ranging from his first winery job at Colgin Cellars, to a more traditional or classic approach at Opus One to an “out there” push the boundaries approach at Scholium Project – working with winemaker Abe Schoener. The brothers try to do everything possible in the vineyard to make sure the grapes are where they want them to be before starting fermentation. And one of the most important elements of this is – balance in the vineyard will translate to a balanced wine. Case in point was in 2011 which was a cooler year in the Napa Valley – their vineyard practices helped ensure the fruit was fully ripe before it came into the winery. This vintage like their other wines sees approximately two years in barrel and a year of bottle age before it is released. The wine is sourced from vines that were planted in 1974. Aromatically the core of this wine continues to develop as it breathes. Darker aromas show, a dusty black berry, a deep liqueur. A pleasing chocolate component shows as the wine continues to breath. There is power and richness on the palate, certainly not surprising compared to other wines we have tried from this vineyard. However what is interesting is there is typically a month during harvest between the first and the last producers who source from To Kalon. MacDonald picks earlier (this is also due to their site having the highest gravel content in To Kalon so it ripens sooner) – up to a month before the other producers. This wine certainly has character and depth if you will, yet retains a nice balance – especially for a young wine. The tannins are slightly dusty or chalky, are well integrated and are initially felt on the front of the palate rather than on the finish. They made a decision to focus their marketing efforts on word of mouth to help convey the genuine efforts of their work in creating a world-class wine. The brother’s offered a tasting of their first vintage to a few friends in New York over dinner. One of members present at that tasting posted a glowing several word review on a prominent wine site and soon they had more interest than wine, selling out of their entire production in merely 25 minutes once the wine was offered to their mailing list customers. After this, interest in their wine has spread via word of mouth. I wish this wine was somewhere in Florida so I can try. It sounds veryinteresting. Lisa – it is beautiful wine. With a rich vineyard history. Hopefully you get the chance to visit the Napa Valley if you have not yet done so.